Steven Burke began his musical studies with the trumpet at age seven. In college, he divided his time between music and science. He taught college chemistry as a sophomore and was involved with neurosurgery research at New York University Medical Center. Ironically, it was nerve damage that forced him to abandon trumpet and start composing. Once he started composing, he realized his passion and since age twenty has pursued composition exclusively. He went on to earn degrees from Sarah Lawrence College, the University of Wisconsin – Madison, Yale University and Cornell University. He has studied with Chester Biscardi, Martin Bresnick, Jacob Druckman, Lukas Foss, Roberto Sierra and Steven Stucky. Mr. Burke’s recognition began during his student years at Cornell University with a commission from the Seattle Symphony and the ASCAP Foundation. 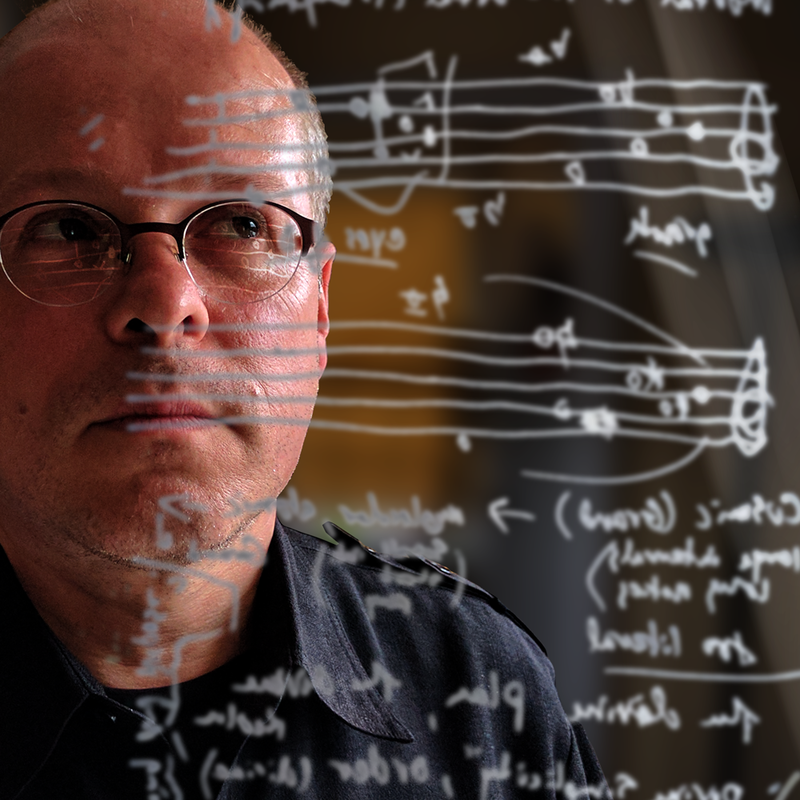 The work, Clockwise, was commissioned in memory of his teacher Jacob Druckman, and was premiered by the Seattle Symphony under the direction of Gerard Schwarz on March 3, 1998. A few months later, the American Academy of Arts and Letters cited Mr. Burke for his “orchestral mastery.” Clockwise was then chosen by maestro Esa-Pekka Salonen, for a performance by the Los Angeles Philharmonic and the orchestra of the University of Southern California, as part of the “Synergy” project. Mr. Burke’s distinctive work has already been acknowledged by critics, and has also been singled out by several distinguished prizes and commissions including the Rome Prize and a Guggenheim Fellowship. He was awarded the Charles Ives Fellowship, as well as the Arts and Letters Award from the American Academy of Arts and Letters. He has received multiple fellowships from Yaddo, the MacDowell Colony, the Medway Institute, and an award from Meet the Composer. He was the first recipient of the Robbins Prize, and the White Flowers residency from Yaddo. He has received commissions from the Fromm Music Foundation at Harvard University, the Jerome Foundation, the National Symphony Orchestra, the St. Luke’s Chamber Ensemble, Sequitur, the Raschèr Saxophone Quartet and the Albany Symphony. He has also been commissioned by Yaddo and the Orpheus Chamber Orchestra to compose a work commemorating the centennial of Yaddo. He was also commissioned by the Raschèr Saxophone Quartet and the Philharmonisches Orchester Kiel (Germany). Echo of Halos was premiered in Germany to critical and public acclaim. In December of 2006, Steven Burke was elected to membership of the Board of Yaddo and awarded a commission from Meet the Composer. His music has recently been performed by such distinguished ensembles as: the Los Angeles Philharmonic, the orchestra of the University of Southern California, the National Symphony Orchestra, the Chicago Chamber Musicians, the New Millennium Ensemble, the Eastman Wind Ensemble and the Jordan Winds of New England Conservatory. Dream Forms for piano trio (2011/2016) was composed for and premiered by the di.vi.sion piano trio. The recording is now available from Albany Records.